If you are trying to install sage Accounts 50 2013 and it keeps failing try this. This is only temporary while we do the sage install, you need to change them back afterwards. After the install has completed login to Sage, set it up as normal then go back the .dll files and change the names back. This works because the Sage 2013 install has a problem locating the correct .dll files during the install on any PC that has been installed from an image. 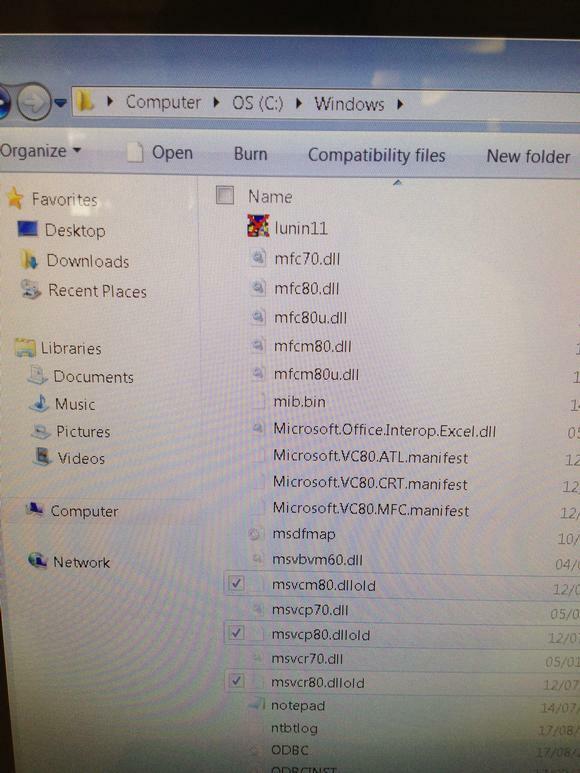 When an image is used for an operating system install some of the .dll files can end up in different folders when compared to an install from a CD/DVD. We have confirmed this fix with Sage so I hope it sorts you out! Excellent fiz, i was looking all over the web for an hour before i found this post. Worked for me many thx!